Walking In Your Community isn't the only scheme that delivers walking training in Northern Ireland. Depending on what level of experience you have, and what you wish to achieve for yourself or a walking group, some of these other awards may be more suitable to you. These awards are listed in order of increasing remit, meaning you are allowed to do more and more as you progress through them. This increase in remit comes with an increase in the technical difficulty of the course. The Walking for Health scheme is run by the Health Trusts across Northern Ireland. It is designed to enable people to go walking for up to an hour at a time, on paths and similar routes. The Leadership course is a free one-day training event, with a stong focus on the health aspects of walking. 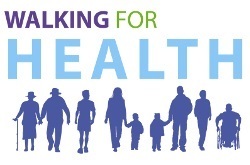 Walking for Health provide a free Public Liability insurance scheme for you as a leader, and your walking group. You can find a group to join, or ask to be trained as a leader, through your local GP surgery, who can put you in touch with the Physical Activity Co-ordinator for your Health Trust area. The scheme that site is all about! Walking In Your Community takes staff and volunteers from community organisations and trains them to be Community Walk Leaders (CWLs). These CWLs can lead walks up to 2 hours long. The (usually) free training course is 1 full day, and covers topics like basic navigation, what to do in an emergency, etc. Optional further training modules can be attended later to gain more skills in things like 'Creating Inspiring Walks' and 'Further Navigation'. Walking In Your Community provides a free public liability insurance cover for you and your group under the scheme. It is also a requirement to obtain a valid First Aid Certificate to operate under the scheme. Walking In Your Community will provide First Aid training at a subsidised cost if required. To find out more about the scheme please have a look through the Walking In Your Community website or click here to get you started. Once a Community Walk Leader has mastered and practised the skills of the Community Walk Leader scheme, they may want to consider developing their skills and gaining further qualifications. There are a variety of other more advanced training courses for walkers in Northern Ireland. These are listed below. Should you wish to discuss the options and suitability with Walking In Your Community, please email info@walkinginyourcommunity.com. The Basic Expedition Leader (BEL) is a nationally recognized course and is administered by the British Sports Trust. It is primarily aimed at voluntary youth workers, youth and community workers within the public centre, teachers and any member of the community who are interested in the outdoors. It offers potential expedition leaders the chance to develop and enhance existing skills and equips participants to work with groups. This course has been designed as a stepping stone to Mountain Leader Training. BEL will be useful to those wanting to train and supervise Duke of Edinburgh's Award Expeditions. The award does not qualify people to lead groups in remote or mountainous areas. This award is currently offered by Belfast Activity Centre. The Walking Group Leader Award (WGL) serves the needs of leaders, teachers, instructors and those who lead others on hill walks on open moorland and terrain without steep broken ground. It is recognised throughout the UK. It is an ideal stepping-stone for those who may wish to progress to the Mountain Leader Award at a later stage. The minimum experience required to gain entry to the scheme is 20 logged hill walks. The WGL consists of a three-day training course and three day assessment. MLTUK recognise this award as the lowest level of award suitable for those who operate independently while leading mountain walking. This national award is offered by Tollymore National Outdoor Centre based near Newcastle, Co Down. The Mountain Leader (ML) Award is intended for those who wish to lead others on hill walks in the British Isles. It is ideal for teachers and youth leaders, as well as those who operate in the club environment. The purpose of the Mountain Leader Award is to promote the safe enjoyment of the hills. The scheme provides training and assessment in the technical and group management skills required by those who wish to lead groups in the mountains of Britain and Ireland, other than in winter conditions. It integrates training, personal experience and assessment in a variety of conditions in mountainous country. Since its introduction in 1964 the scheme has become recognised by Education and Library Boards, the statutory youth services and the national and voluntary youth organisations as providing technical competence in this field. Valid throughout the UK and Ireland it is a national yardstick against which standards are measured. The minimum experience required to enter the scheme is 20 logged 'quality days' in the British or Irish mountains. Training consists of three two-day courses or one five-day course, followed by a five day assessment. The award is a pre-requisite for many higher-level mountain training schemes. A number of walk leadership schemes are in operation South of the border. You can find out more about them on the Get Ireland Walking training pages . The same site also has links to existing walking groups in the Republic of Ireland.